If you have a new Galaxy S9, you’re probably using Samsung Messages for your texting needs. 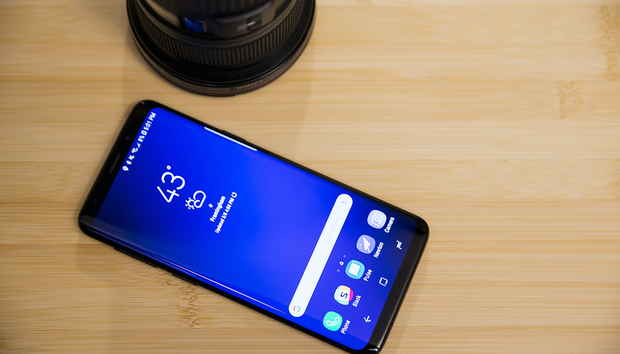 The default messaging client on all new Galaxy phones, the app lets you text your friends and family with modern features and strong search, and integrates with all of Samsung’s other apps. In short, if you're locked into the Samsung ecosystem, you have every reason to use it. And now there's a reason not to use it. According to reports, the app has been sending out photos to random contacts without the user’s permission, a massive privacy issue and a potential embarrassment for victims of the bug. It’s unclear how widespread this issue is, but it’s major enough to warrant more than 200 comments on this Reddit thread. Because Samsung Messages is presumably accessing your photos directly through the app, you can shut off its access right at the source. Open the Settings app on your phone and select Apps > Messages (the Samsung one) > Permissions to turn off Messages' access to your phone’s storage. That should prevent it from being able to see your photos when it tries to access them. You can’t delete Samsung Messages from your phone, but you don’t have to use it to send texts on your Galaxy phone. Options abound in the Play Store, including Facebook Messenger, Pulse SMS, WhatsApp Messenger, and a bunch of others. But your best (and safest) bet is Android Messages. You can download it from the Play Store for free, and there’s also a cool new web component that lets you text from your PC. To switch to a different default messaging app, download the new app first, then head over to Settings. Select Apps, tap the menu button in the upper right corner, choose Default apps, and then Messaging apps. You’ll see a list of any messaging apps installed on your phone, and you can select any of them as the new default. While we’re not fully sure how Samsung Messages is accessing your photos, we’re 99.999 percent certain that Google Photos isn’t the issue. So use it. Once you back up your phone's photos to Google’s cloud servers, you can safely delete them from your Gallery app. Open the app, long-press on a photo until a check mark appears, tap the All button at the top left corner, and select Delete. While you’re at it, you can shut off Samsung Cloud in Settings too (accessible via the menu in the right corner). That way even if Samsung Messages goes rogue, there won’t be any photos for it to send. The IDG News Service is the world's leading daily source of global IT news, commentary and editorial resources. The News Service distributes content to IDG's more than 300 IT publications in more than 60 countries. Which Mac should you buy? Slideshow: The Week in iOS Accesories: Duly noted! Copyright © 2019 IDG Connect Ltd. All rights reserved.